Yes,that means it's another Willow Sketchie Challenge for you.It's Lisa hosting for you. Just like to say thanks to everyone who joined us last time and we really enjoy seeing all your fabulous creations. Congratulations to our Winner and Top 3 too!Please scroll down to the post below to see who they were. 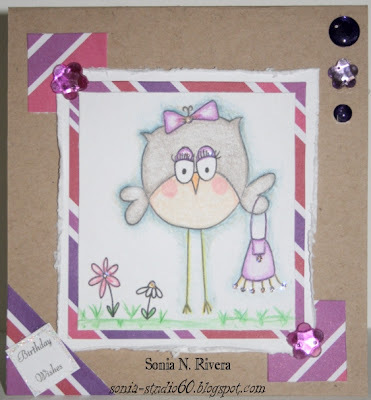 And the Theme is : Get Krafty.Use some kraft card/paper in your creations. You can either pick the sketch or theme.You can even do both!It's up to you. You are welcome to use anything from your crafty stash but it makes us really happy if you use something from Willow Designs! 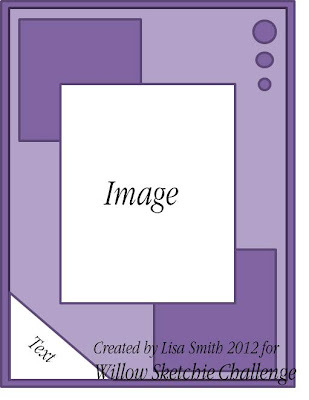 If you are using the sketch feel free to flip,rotate,re-size or even add any extras but please make sure we can still recognise it. Following sketch and theme.Using Fast Asleep clear stamp. Following sketch and theme.Using Winnie in Ear Muffs clear stamp. Following sketch and theme.Using Hanging Around clear stamp. Following sketch and theme.Using Just the Two of Us clear stamp. 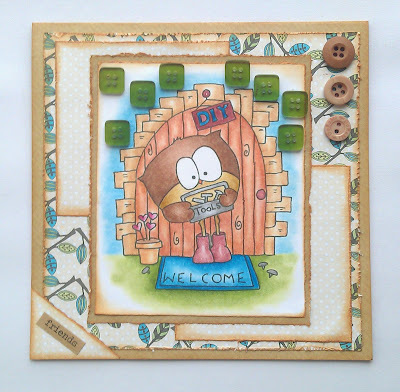 Following sketch and theme.Using Winnie Owl digital stamp. Following sketch and theme.Using papers and image from Polly Pickleberry CD-rom. 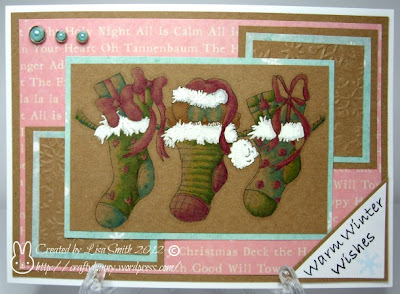 Following sketch and theme.Using papers from Polly Pickleberry CD-rom and Tool Time Walter digital stamp. Now it's your turn to play along using either the sketch and /or theme.You have until Wednesday 22nd August 20:00 to enter. One lucky Winner,randomly drawn,will receive a voucher to spend over at Willow Designs.You'll certainly be spoilt for choice! I will be also be hand picking a Top 3 and you get a super cute badge to wear with pride on your blog. form Lisa and the Design Team. Thank you Ladies for the lovely Comments you all left on my blog, I hope to play every week I really enjoy playing along with all of you.would love to have you all as followers on my blog too. Thank you again. I just couldn't stay away ladies,it seemed a bit odd entering a card rather than leaving comments. Great sketch Lisa and fab DT cards.